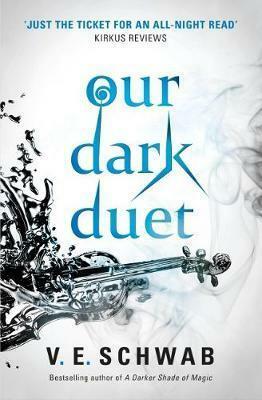 Our Dark Duet is the second instalment in the Monsters of Verity duology. It was dark and showed just how damaging physical and mental scars can be in a terrifying world, however, while it was still an immensely enjoyable read, it lacked a bit of the wonder and mystique that the first book managed. The characters have moved on significantly in the 6 month period between the first story ending and the second beginning, and the story feels like a very different narrative than the first book. Firstly, the characters have changed immeasurably. The scars from the first story can be mentally and physically felt, and the gulf between them (figuratively and actual) is bigger than ever. Although they do end up meeting again, we’re introduced to a monster hunting Kate in neighbouring city Prosperity, and met with a militarised and frankly terrifying version of August in Verity. The child-like wonder that they viewed their families, the monsters they were facing, and the situations they were in during the first book is part of the reason I found the first novel so spectacular, and so losing this lost something for me. That said, seeing the evolution of these characters, and those around them, was fascinating and expertly written. The physical and mental scars are evident and have dictated the actions of all characters logically. August’s drive to protect his family and his military colleagues is fierce and prevalent and has quite literally turned him from a moralised boy into a military man, a leader amongst the Flynn Task Force. He has physically grown, mentally shutdown to a degree that permits him to do actions that would have been unimaginable in the first book for him, and has seen him embrace his Sunai powers in a way that was abhorrent to him in the first book. His sister is damaged, and is becomes apparent that all is not well with his family, and the resulting protective instinct over them, over the compound, and later over Kate sees even more emotional and temperamental change in him. Kate is still on a mission. I feel like she is still driven by monsters, whether chasing her or chasing them. Her life has revolved around cruelty, violence, and the presence of Corsai and Malachi, and I think her older head on young shoulders couldn’t be more obvious in this book. She somewhat leads a group of online warriors in Prosperity, but the endangerment of her home city and her friends is ultimately what drives her return to Verity and the plot of the second novel. I like her, I really do, she is calculating and fierce and I think her moralistic violence and immovably strong attitude is a great attribute of her character that ultimately shines through the book and changes the way August sees his options and identity. I think the change in the lead characters and the interactions with the monsters are where the change lies. The characters are wonderfully complex and flawed, but the monsters are just, well, monsters. The childlike wonder and terror that was felt by the characters in the first book has somewhat evaporated, which loses some of the fantastical mystique, and I think it is this loss that actually changed the way I saw the book. I loved the discovery of monster’s powers, the terror and fear they produced, the interactions that children had with them and their thoughts of them versus the adult reactions in the book. That is lost in the second book for a much more adult militarised us v them situation and while reading about military strategy and the use of monsters in a military context, it fell from being something extraordinary to a book that was really good. The introductions of a new monster was probably needed and was fascinating, but as we saw this through more adult eyes than those through which we saw the monsters in the first book, it felt a lot less impactful to me as the reader. Much like the first book, this novel doesn’t truly have villains and good characters. It has morally grey viewpoints and actions, everyone looking out for their side and their interests, and even though there are definitely characters that are better than others, this moral representation is a refreshing presence in such a novel. This can also be said for Soro, a gender neutral monster who is referred to by the pronoun ‘they’. There are many books that feature LGBT+ representation, but very few that incorporate it so matter of factly, or so well. Yes, it’s a revelation to see it done at all, but even more that that, this representation is done well and that is an amazing feat of the author. The only negatives I can draw don’t actually stem from the author’s storytelling ability. I found this harder to read, in the actual sense. I picked it up last year and just didn’t get into it and ended up DNF-ing it. It was largely because I was in a reading slump and about to go on a holiday where I didn’t want to take a 450 page book with me. Although I was definitely feeling a bookish hangover when I read it, I just didn’t connect in the same way because the point the characters were now at left a slight disconnection between me as a reader and them as the focal point of the narrative. It felt longer (yes, I know it is, but it not only actually was but felt like it was) and took me a long time to read what isn’t a difficult concept in terms of story, in comparison to the 24hr period in which I devoured the first book. This isn’t really a writing issue, or a problem for everyone, it just doesn’t connect with me quite as much as some of the other novels V has written. This is definitely one of those series that break the mould within which it was written. At a time when Young Adult was going through a resurgence, and both dystopian and fantasy were popular (I say were, are) it toed the line between the two and made for a really great read. It definitely walks the same line that brilliant psychological horror and fantasy do, where imaginations are left to run wild and where the thoughts you conjure and infer in your head are the scariest thing of all. It really shows V’s diversity in writing, and although I probably prefer her adult and middle grade works, this is a great duology that I’d recommend to anyone. I really need to get around to reading this one! It was good. I liked it a lot, V is such a great writer! 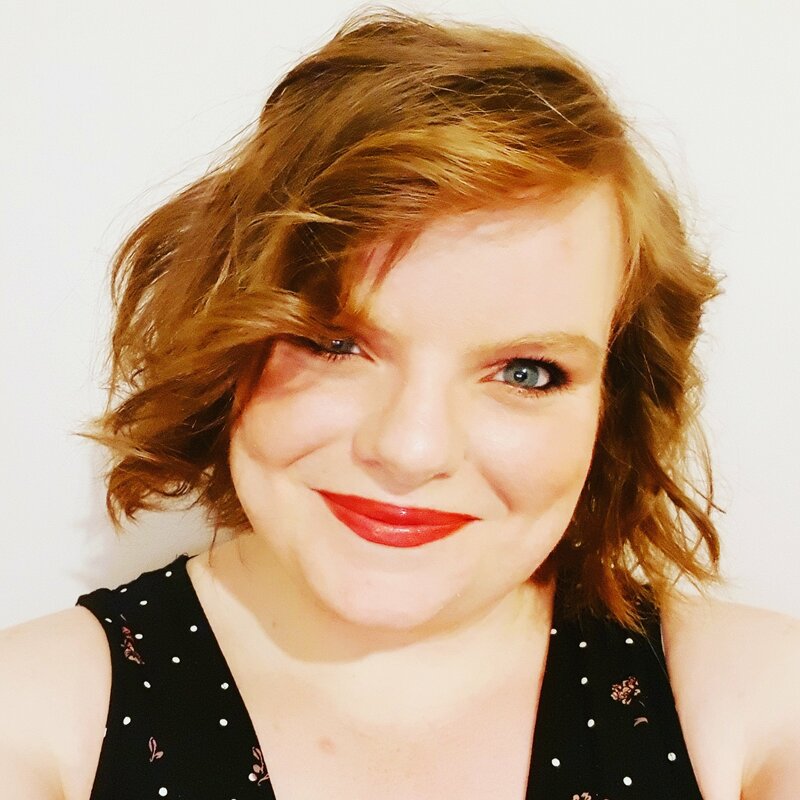 That’s a really good review – I still haven’t read this author although I did buy a few of her books some time ago – I shall have to go and check out exactly what I have and prioritise. Thank you. I tried to keep it as spoiler free as possible, I know not everyone has read her stuff. I can’t recommend V enough, she is an amazing writer, I’d definitely recommend pretty much everything I’ve read by her!